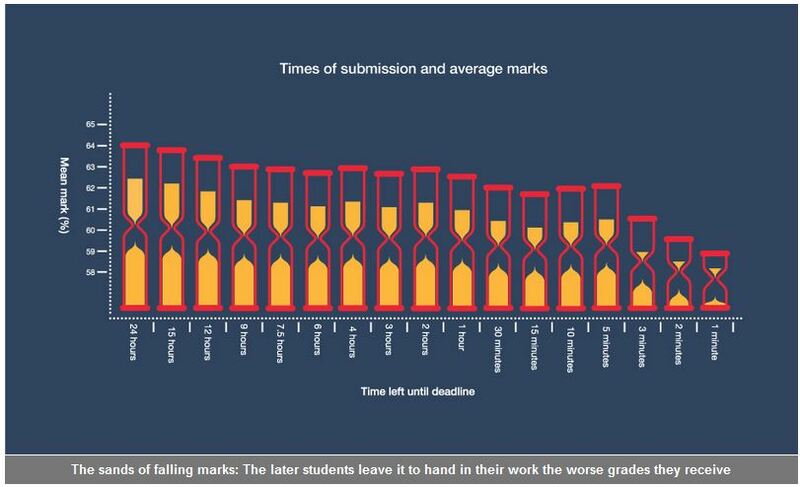 Students that hand in work at the last minute get lower grades…. According to recent research you could drop your grades by as much as 5% by leaving things to the last minute and rushing to meet your deadlines. If this sounds like you – or that it could be you – start getting yourself better organised now – before you end up being that student in a last minute panic. Come along to our workshops to get some strategies, advice and tips on getting yourself organised.